This tray was designed to fit the entire contents of the starter box and three flyers. There are holes available to store flight stands. Please note: flight stands will stick out above the foam tray unless trimmed. 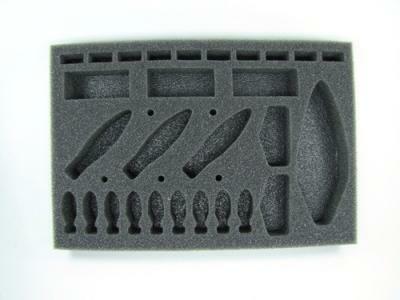 1 1/4 inch (32mm) thick tray with 3x 2 1/2 x 1 inch (64 x 25 mm) cut outs.